I had total control of the television. Steve and I only watch it when Hazel is sleeping or not home. Of course Saturday night television is not very great, but I watched a few shows On Demand that are on later than I would like at night. 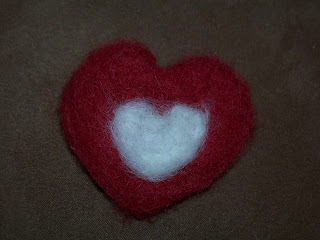 And I did some needle felting. 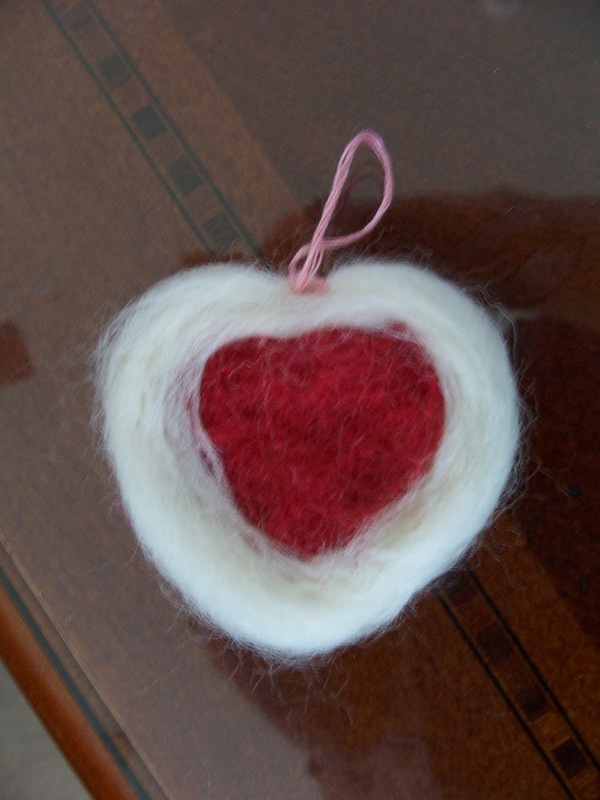 I had bought a needle felting kit at the Paper Source which was on their clearance table. It was to make a flower pin. It came with three bright colors of wool roving--brighter than I have seen around here. 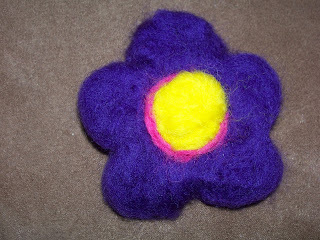 I made the flower and decided I would either glue it onto a barrette or sew it onto a hairband for Hazel. 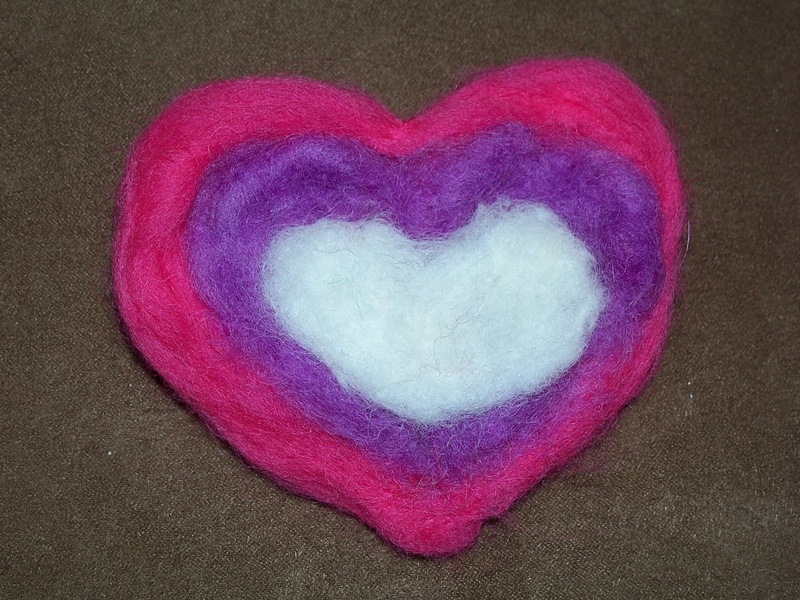 Then I played with making some hearts. I started with the bright colors since all three colors came with equal amounts but then used a purple and white that I already had to fill in the center. Then I made a red and white one. Seems perfect for a Valentine. Finally I made a smaller pink one and then added a white H on it for Hazel. Then I thought about what I wanted to do with these. I decided to make the smaller one into a necklace for Hazel. This morning I sewed a piece of embroidery floss onto it and she wore it to church. 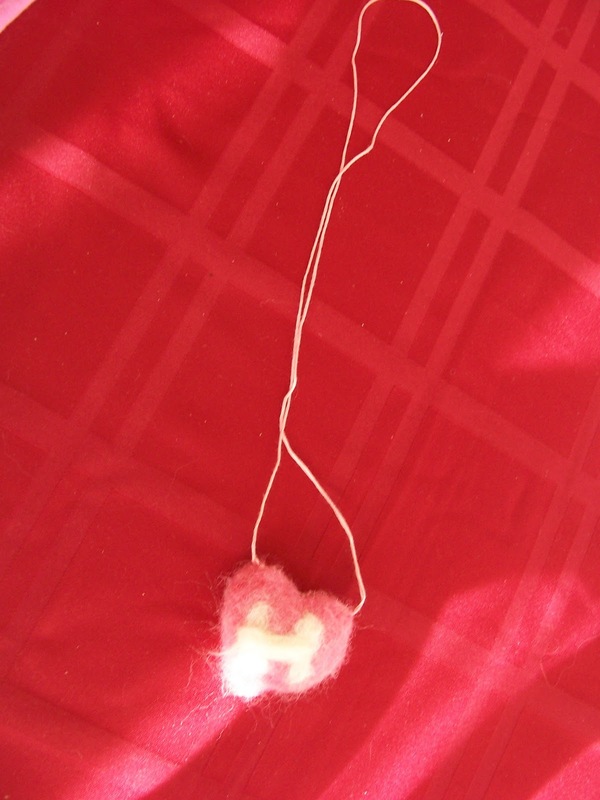 And I sewed a loop on one of the other ones for Hazel's craft tree (or small Christmas tree that I bought on clearance and we are going to hang our crafts on). Now we just need to hang it up and sew strings on the other two. Hazel of course loved them. What sweet hearts :-) And another great link, thanks for sharing it! 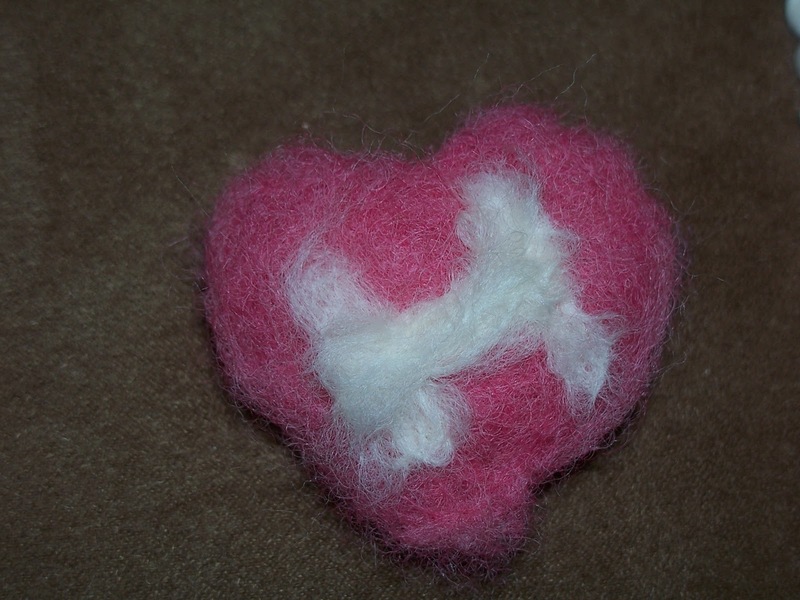 ohh .. needle felting is very dangerous for fingers (at least when I do it) - a great way to get shapes especially if you do it together with children is to put the wool inside a biscuit / cookie cutter (you probably have them already put away after Christmas). So even the young ones get flower / star shapes and so on very easy. Nice things you did up there! Very sweet. I have done some felting and want to do more. This is very sweet :) I have always wanted to try needle felting. These are just lovely. My Auntie Na used to do this and now you've made me want to try my hand at it too.